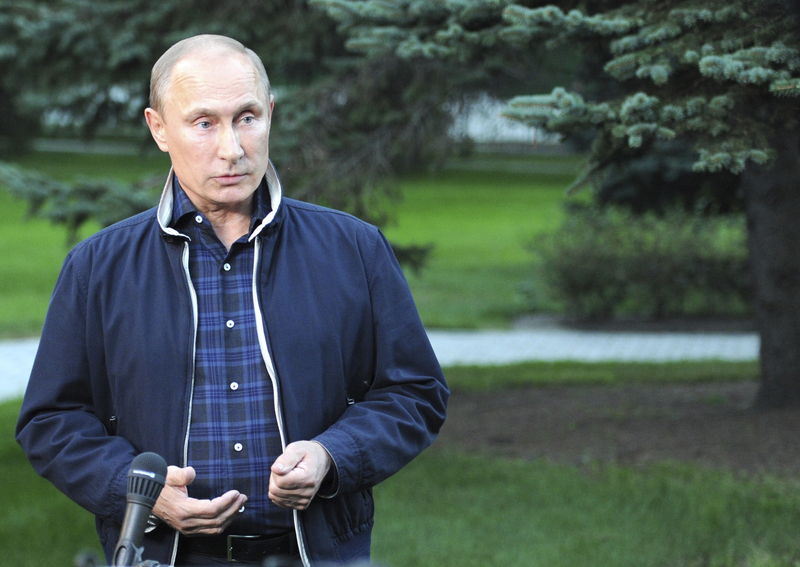 Vladimir Putin, Global Problem Solver? Experts wonder what prompted Russia's sudden cooperativeness on Syria. The world is used to seeing Washington and its western allies take the lead in trying to solve world crises. But suddenly, Moscow has seized the initiative. On September 13, Russian President Vladimir Putin capped a week of energetic diplomacy by winning China's support for Moscow’s initiative to preempt potential U.S. military action against Damascus over the use of chemical weapons. The endorsement at the meeting of the Shanghai Cooperation Organization (SCO) in Bishkek was accompanied by support for the initiative from Kazakhstan, Kyrgyzstan, Tajikistan, and Uzbekistan. The regional backing comes just days after Moscow on September 9 proposed that UN inspectors secure and destroy Syria’s chemical weapons to assure they are not used again in the country’s civil war. The proposal has led U.S. President Barack Obama to put off seeking Congressional support for any U.S.-led strike on the Syrian regime until the Russian idea can be discussed. Meeting in Geneva on September 13, U.S. Secretary of State John Kerry and Russian Foreign Minister Sergei Lavrov said they hoped the chemical weapons proposal could also revive plans for an international conference aimed to end the war in Syria. Analysts differ over the reasons Russia has suddenly taken pole position in trying to solve the Syrian crisis. Fyodor Lukyanov, editor of the Moscow-based magazine Russia in Global Affairs, argues that, after years of watching Washington try to solve crises in Afghanistan, Iraq, and Libya through military intervention, Moscow has concluded that much of the world welcomes alternative proposals. "What surprised me, the only thing that surprised me, was that Russia suddenly came up with such an elegant proposal," he says. "Because this proposal actually is a manifestation of the 'win-win' logic, which [usually] is not that dear to Russia's political heart." Lukyanov calls the proposal to secure and destroy Syria’s chemical weapons "win-win" because, in his words, it allows Western leaders who are reluctant to engage in new military intervention a way to avoid doing so. At the same time, the proposal saves Damascus, a close ally of Russia, from a strike that could seriously weaken its army as it fights with rebels. Some Western analysts see domestic motives behind Moscow's diplomatic surge as Putin contends with falling popularity ratings and an increasingly organized opposition. According to Edward Lucas, international editor of Britain's The Economist magazine, the Russian initiative comes in handy for Putin. "It goes down well at home, it encourages Mr. Putin's supporters because it shows he is a man who can get things done, and it demoralizes his opponents," he says. In Lucas's opinion, Russia's Syria proposal could also have the effect of temporarily insulating Moscow from Western criticism on many other issues. "Of course, one big result of Russia's engagement in these phony chemical weapons negotiations in Syria will be that the West will be very reluctant to confront Russia on anything else," he says. "It will be worried that, if they complain to Russia about human rights, or things in [Russia's] near-abroad, or treatment of gays, or any one of a number of things that Russia's regime deserves criticism for, then Russia will say 'if you do this, we will withdraw cooperation on Syria.' So, it works in many different ways for Putin and it is a very impressive diplomatic coup." With Russia dominating the diplomatic front, "impressive coup" is something everyone can agree on. But after a week of making headlines, Moscow still faces the hard part, which is, how to solve a crisis that, so far, has defied multiple efforts at diplomatic solutions. Syria’s civil war is now in its third year, with the use of chemical weapons just the latest and ugliest chapter in a conflict that is estimated to have killed more than 100,000 people. Separately, an expected new gesture by Moscow to strengthen its argument for solving the Iran nuclear crisis only through diplomatic means did not materialize at the SCO summit in Bishkek on September 13. Russia's Kommersant daily had quoted a Kremlin source on September 11 as saying that would tell Iranian President Hassan Rohani that Moscow is ready to deliver Tehran a version of its sophisticated S-300 air-defense system -- something which would make any military action against Iran far riskier than it is today. The step would reverse Russia's 2010 freezing of the previously agreed missile sale amid strong objections from Washington that arming Tehran would lessen regional security. At the same time, the newspaper said Moscow would offer to construct a second reactor for Iran's Russian-built civilian nuclear power plant at Bushehr, despite Western charges that Iran could be using such nuclear activities as a cover for atomic-weapons ambitions. There was no immediate explanation of why the expected offers were apparently not made.